I have to be honest, I don’t usually like sweet things. I much prefer savoury, and I rarely have dessert! 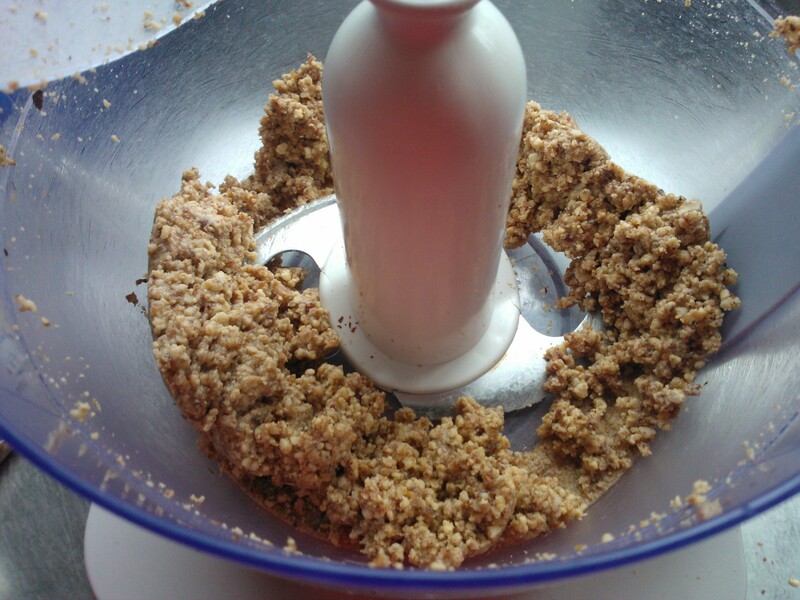 Somebody recently pointed out to me that I haven’t put any sweet recipes up, and I was reminded of this recipe. 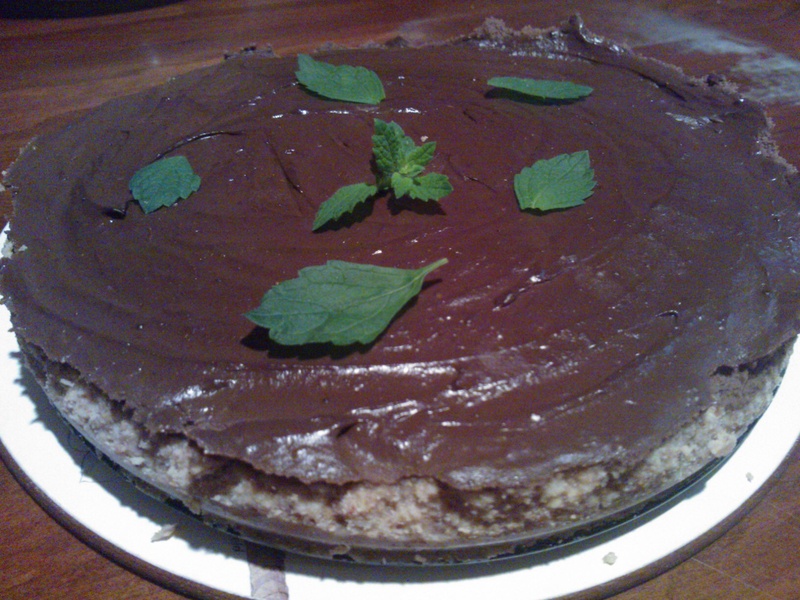 I made it purely out of interest, and it was really delicious! I came across this in a recipe book I bought called Food for Medicine, which provides fuss free, healthy recipes, and a glossary listing the medicinal benefits of each of the ingredients. 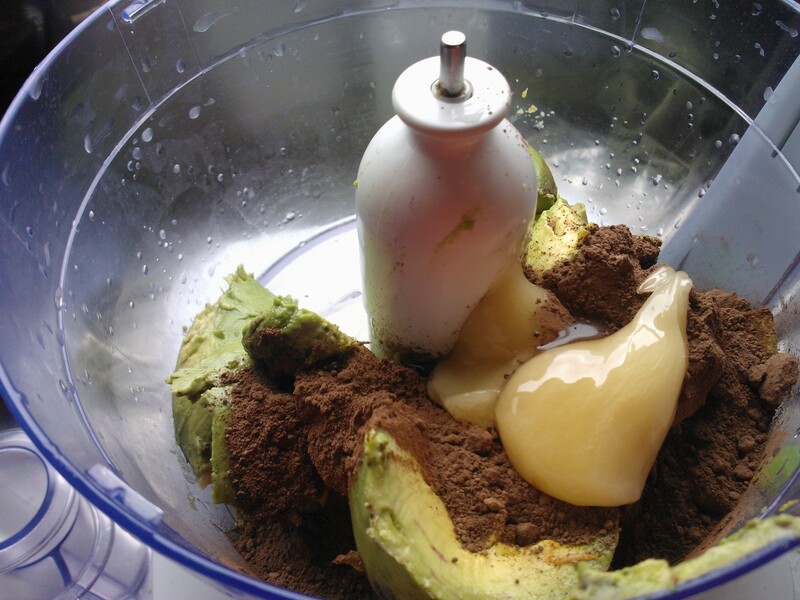 The avocado topping has a creamy, velvety texture, and the bittersweet cocoa is balanced out by the freshness of the mint, the sweetness of the honey, and the crunchy nutty base. 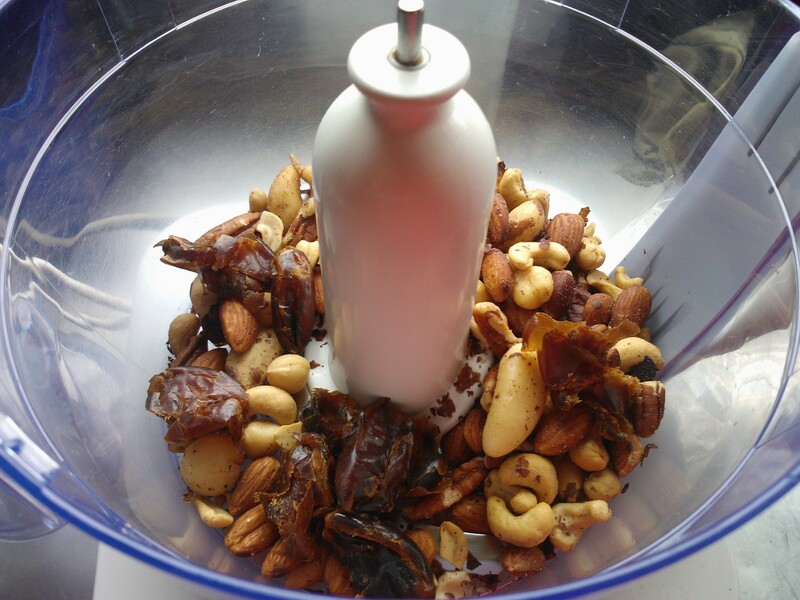 To make the base, put the nuts and dates into a food processor and blend until a stiff dough has formed. 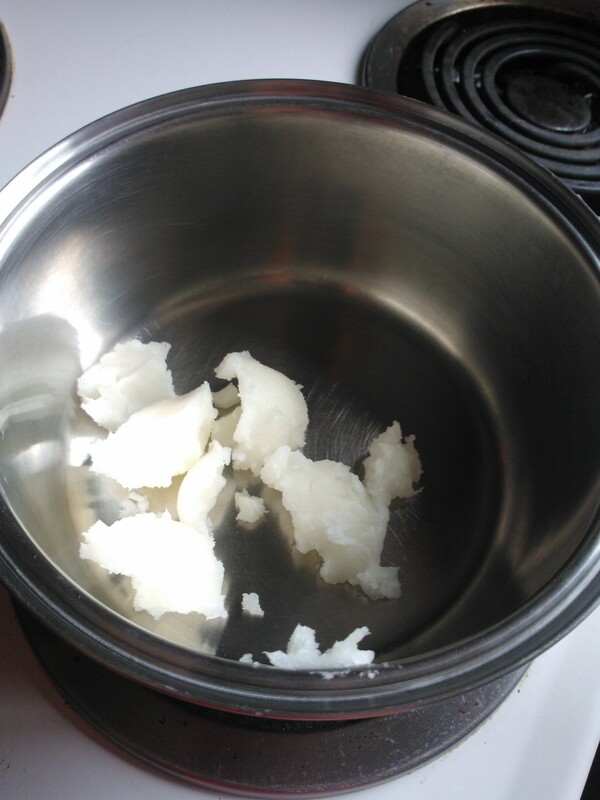 Melt the coconut oil gently, then add to the mixture, and process again until well combined. 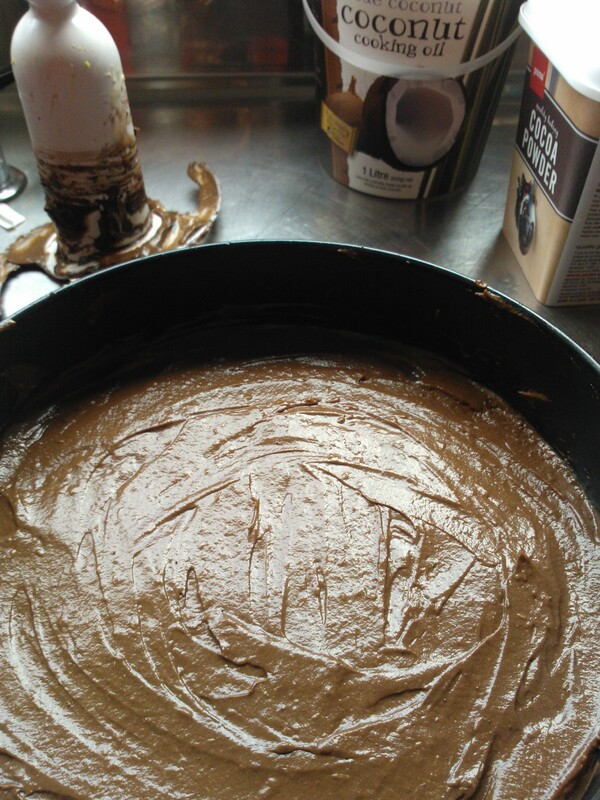 Transfer the mixture to a 23cm round, loose bottom cake tin. 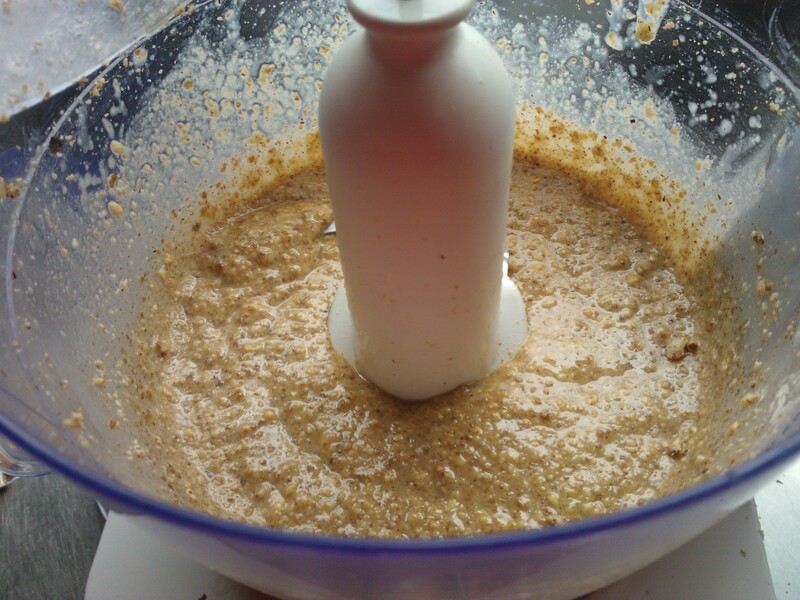 Line the base with the mixture, pressing down firmly with the back of a spoon to ensure its tightly compressed. 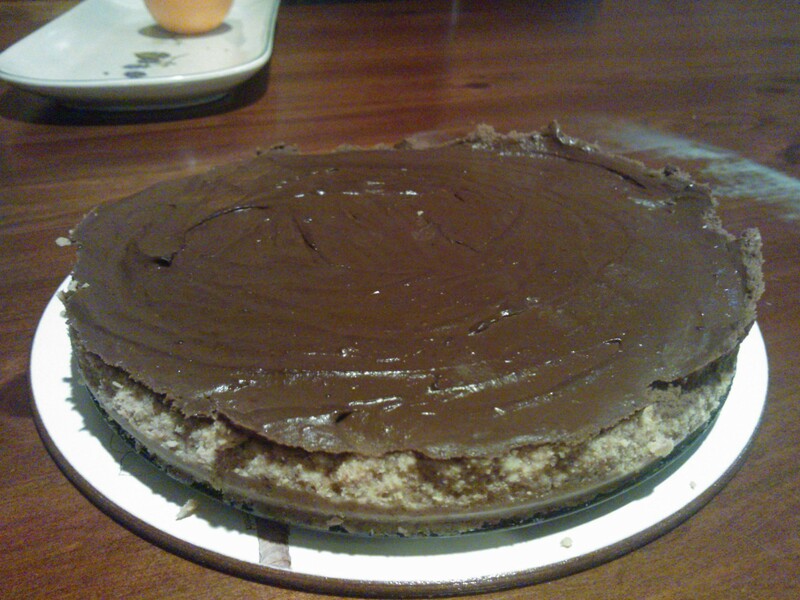 Place in the freezer to set while you prepare the topping. 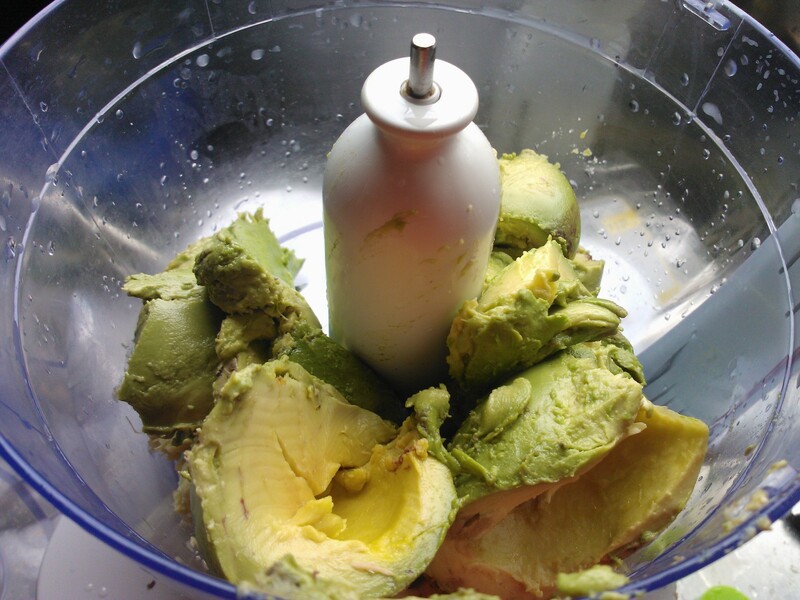 Halve the avocados, remove the stones, and scoop the flesh into a food processor. 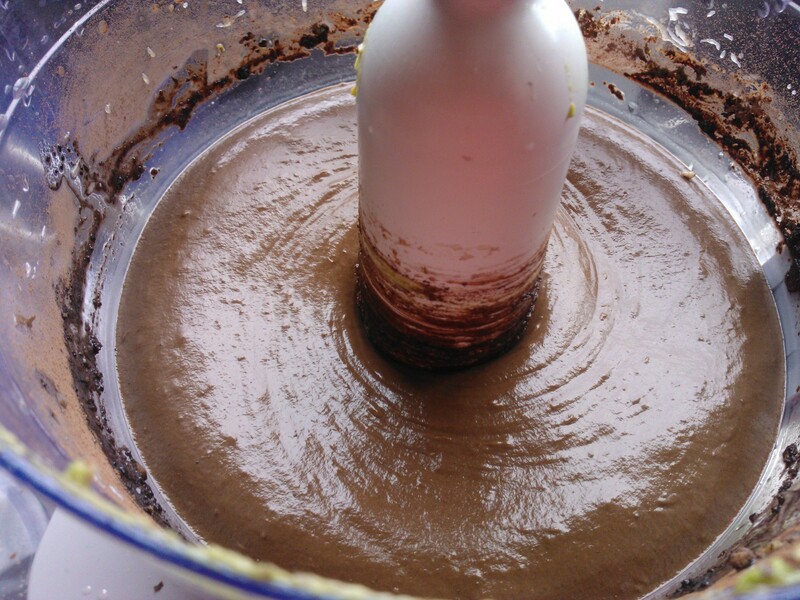 Add the cocoa, honey, peppermint essence & melted coconut oil, then blend to make a thick, velvety chocolate mousse. Remove the tin from the freezer and check that it has set. 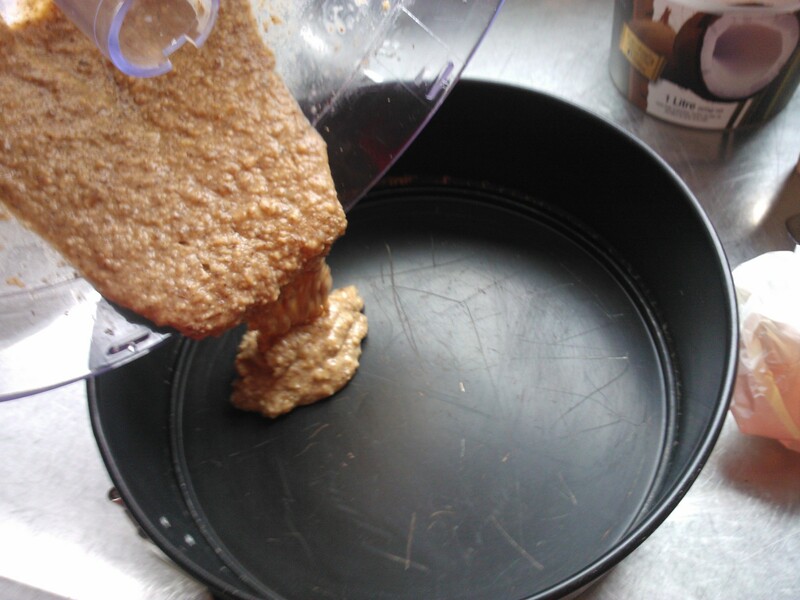 If set, pour the chocolate over the base. Otherwise place back in the freezer. Smooth down with a palette knife, or the back of a spoon works too! 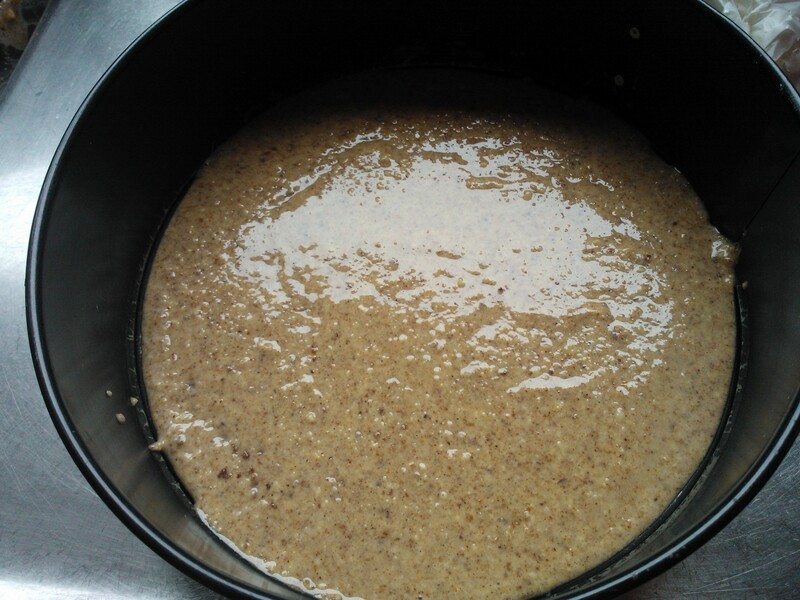 Chill in the fridge for at least 4-5 hours before serving to allow the coconut oil to set. 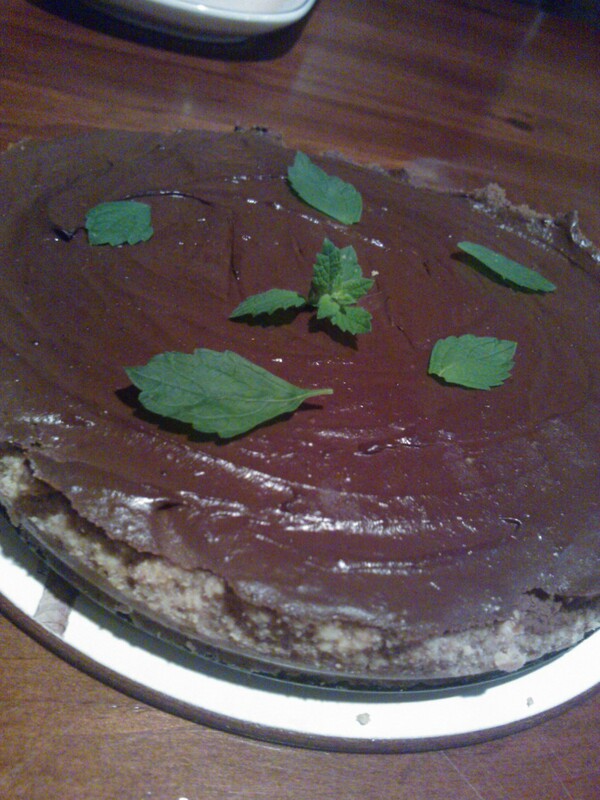 Decorate with mint leaves to serve!